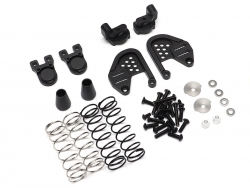 This conversion kit sets up like a 1:1 Defender rear suspension system and the geometry makes the truck move around like a 1:1 truck. 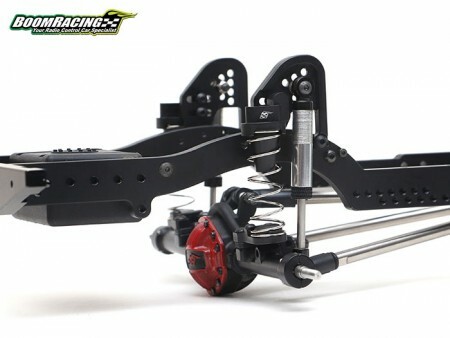 Comes with two sets of springs for different ride height options. Remove the springs from your stock Defender chassis and mount the damper onto the new shock mount. See instruction manual for details. The Boom Racing D90/D110 Chassis Rear Scale Suspension Conversion Kit for D90/D110 Chassis has an average rating of stars based on 2 customer reviews.